To celebrate our first wedding anniversary, we were going to be eating, drinking and staying in Liverpool. We decided to detour across to Crosby to see Another Place, Anthony Gormley’s eerie statues that decorate the beachfront. Sand in our shoes, looking out to the Irish Sea on a cold, windy and slightly wet day in April: couldn’t have been happier. Stopping drinking (for a bit). Most of the good things from this year stems from a New Year’s Eve whim: to not drink for January. Seems small, but it precipitated a lot of changes that I made over the course of the year. The cover for Pre-Human Ideas by Mount Eerie. Phil Elverum has created a public persona of being a figure of Romance: a hand-crafting artisan, typesetting, screenprinting and hand-folding his records. An out-of-time Coleridge, brewing coffee over log fires in the Anacortes mountains. This record goes against all of that. The album itself features digital re-recordings of Mount Eerie songs (mostly from Clear Moon & Ocean Roar) made for his touring band to learn. Elverum has layered and autotuned his vocals, squelchy synth lines dominate whilst stock drum sounds back everything up. The cover shoes Phil sat in front of an iMac and Garage Band, with one and a half donuts and a bacon-patterned plaster on his finger. Nearly two decades of myth-making for a pretty good joke. From March-August, I was cycling on a static bicycle. Doing 90 minutes four times a week was good – I listened to a lot of music and stand-up comedy – but after a while it got to be really boring. So I bought a bike, my first in over a decade. I got lucky with a pretty immaculate early-’80s steel racer by BSA from a guy on ebay. A £50 job, to see if the hobby would stick or if it was another whim that would die soon enough. As soon as I got on the saddle, I remembered how wonderful cycling was. I booked myself in and got a full service, new chain/brakes/wheels/tyres/bartape for the bike. 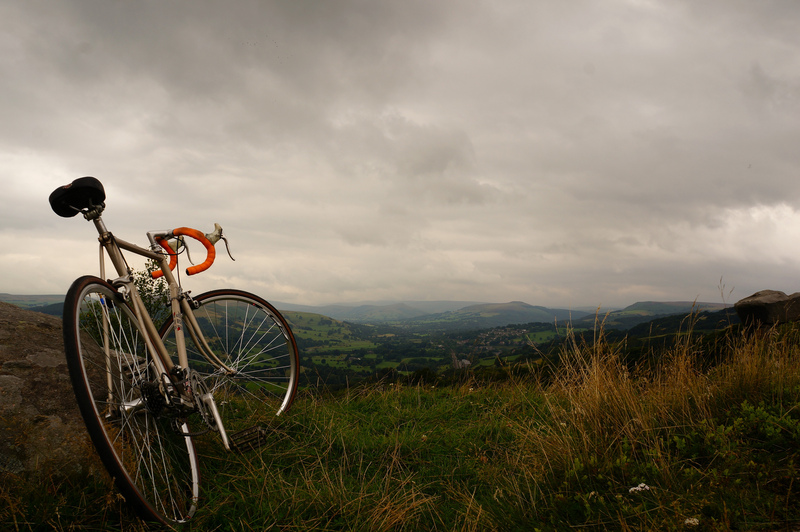 I picked her up and accidentally cycled 5 miles out into the Peak District. Not much, but steep and tiring for someone who hasn’t had much (any) exercise in years. I was hooked and every weekend since then, I went out Saturday and Sunday mornings on rides that pushed me a bit farther each time. By October, I was regularly doing 90 miles up and down the incredible Peaks each weekend, making the most of the Sublime country that’s been on my doorstep for years. The clarity and freedom those rides bring is the best. My wife and I went to Reykjavík for my 30th birthday. Most of it was amazing, but I think it fell slightly below our Romantic Nordic expectations. There are incredible highlights in the city such as Hallgrimskirkja, Perlan, Restaurant Dill, the hodgepodge, idiosyncratic approach to urban housing, and some wonderful folklore dotted around, but one thing stands out: Harpa. On the waterfront overlooking the docks to one side, the bay and Engey island on the over, Harpa is a stunning piece of architectural sculpture. 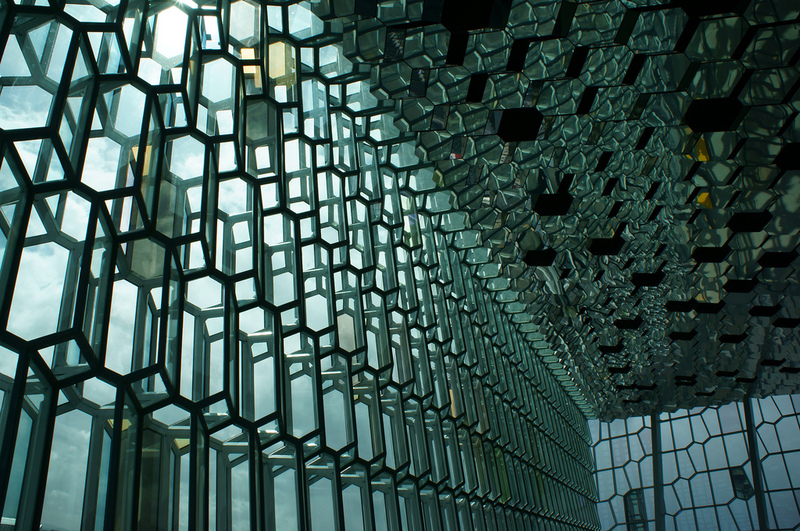 A collaboration between Henning Larsen Architects and the artist Olafur Eliasson, Harpa is an angular wonder filled with ‘quasi bricks’ of glass and steel – it glows with natural and artificial lights, creating the most alive building I’ve been inside. Chippy Tea in the new house. The day we got the keys to our first house – with all our stuff still in boxes at the old flat and waiting in for a delivery – we sat on the floor and had a chippy dinner. There are many wonderful sequences in Carlos Reygadas‘ Post Tenebras Lux – some baffling, some horrific, some beautiful – but the opening six minutes are the best thing I’ve seen in the cinema all year. Joyful, unsettling and stunningly beautiful, it sets up the rest of the film perfectly. Other favourite films of the year: Spring Breakers, Blue Jasmine, Hunger Games: Catching Fire. The Wildhearts have been one of my favourite bands for the past twenty years. A rough, dirty, heavy rock and roll band with choruses harmonies that should have made them millionaires thousands of times over. They’ve imploded more times that anyone can recall, but their songs never give in. 2013 saw the original line-up reform to play the entirety of their debut album, Earth Vs, on its 20th anniversary. The venue was sold out well in advance, packed out with 30-40 somethings (a lot in Wildhearts t-shirts) – every person sang every word to every song during the two hour set. I’ve never seen a happier room of people: drunk on nostalgia, power-pop choruses and over-priced Tuborg. After losing a bit during booze-abstinent January, I decided to focus on changing my lifestyle in a lot of small ways – walk as much as possible, stop eating bread, cut down on tea/coffee, eat breakfast, actually weighing myself – that would amount to a big difference. (I was pretty inspired by the ‘marginal gains’ approach of the British Olympic cycling team; legacy etc). Each of these things contributed to a speedy, steady decline in my weight. Importantly, I have tweaked how I live, rather than weightloss crashing. It’s sustainable, despite the current additional winter pounds. Doing this changed my life in so many ways: I’m more comfortable around people, I’m confident in myself, clearer in mind, happier in general; I dress better and I don’t hate summer. The squid & mushroom dish at Matbaren, Stockholm. I was in Stockholm on a very short work trip, with nothing much to do in the evenings. I booked myself in to Matbaren, Mathias Dahlgren’s 1* ‘dining bar’, and sat down for plates of amazing food. 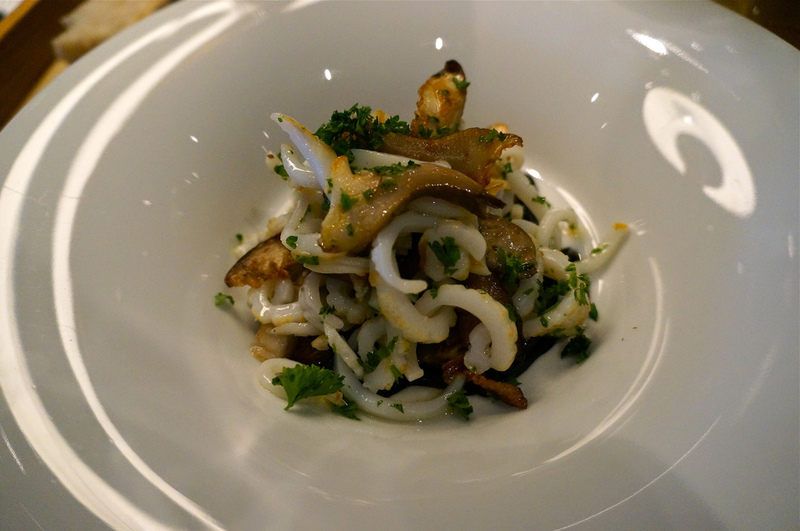 The first thing I went for was the hon shimeji mushroom and Swedish squid dish, paired with a seabuckthorn cream ale. Fresh and clean as anything, with squid ink aioli and parsley bringing all the flavours out. Absolutely bowled me over and I keep thinking about it, wondering how to make something as wonderful. Other great food this year: the beef, hen of the woods, mussels at Dill and the oysters at Flying Elk. The Melvins are the best. Always. Consistently special and unpredictable, they released two albums this year: the first Everybody Loves Sausages – a covers album that takes in Queen, Roxy Music, Venom and David Bowie – features one of my favourite things of the year, a cover of John Waters & Divine’s theme song to the 1974 film Female Trouble. Tres Cabrones, the second album, reunited the original 1983 line-up, moving Dale Crover from drums to bass, and is a completely wild and joyously noisy 45 minutes. Other favourite records this year: Bill Callahan, Dream River; Vår, No-One Dances Quite Like My Brother; Botanist, IV: Mandragora; iceage, You’re Nothing; Locrian, Return To Annihilation; Mount Eerie, Live In Bloomington; David Lynch, The Big Dream; Lust For Youth, Perfect View. “Stoflighed” is a collaboration between Vans, Norse Projects, Kvadrat and the Republic of Fritz Hansen. Everything about these shoes is superb: the choice of fabrics, the texture, the colours, the fit are all beautiful. This pair of new wool chukkas is pure Danish quality wrapped around a Vans classic. Matt is one of those good people that I don’t get to spend enough time with due to their insistence on living in London rather than the North. The occasional conversations, caught before my train home, are a warm bit of hearty bookending and a must for anyone. Ben Reade’s talk at Playful. Over the past three years of Playful, I’ve been trying to expand the meaning of the event – possibly too far, possibly not far enough. This year, I invited a man who’s fascinated me for a while: Ben Reade. He’s the Head of R&D at Nordic Food Lab, the houseboat moored outside noma fermenting, pickling, and god-knows-what-elseing all kinds of food. I’ve been following the NFL’s experiment blog for a couple of years – baffling at attempts to make Nordic-local vinegars, dashi and even ‘soy’ sauce. His twenty minutes at Playful were a giddy journey through Coltrane, food and an evident passion for experimentation. Ben’s discussion of the rotting plums and mummifying deer absolutely justified bringing him over from Copenhagen. The Giraffes in The Last of Us. The Last of Us is an incredible gaming experience; exhausting, emotionally draining and deeply intense. It starts bleak and gets worse from there. Towards the end of the game, the lead characters reach a desolate Utah. Collapsed roads, disintegrating buildings over-run by trees – the typical Last of Us scene. Jogging through corridors, looking for a way through, suddenly there is a giraffe chewing on some leaves. Nonchalantly, standing there in the middle of the ruined world, chewing leaves. It broke down that hard shell I’d spent hours building up in the game and winded me. A gut-punch. Stroking that giraffe brought back some hope. Enough hope to be devastating. Making Green Eggs & Ham. We only see my three-year-old niece a handful of times a year because she lives eighty-odd miles away (and is too young to drive/get a train). Every time we see her, she’s a bit meek for the first half an hour, because we’re relative strangers / strange relatives. We decided to record us reading some books to her. Partially to get her used to our faces more, partially to give my sister and brother-in-law a break from the tyranny of Peppa Pig. We looked at many, before eventually settling on Dr Seuss’ Green Eggs & Ham. We started reading it out, but it quickly became a theatrical production with my wife and I sparring as Sam-I-Am and the one who hates green eggs and ham. We made a sign, before dyeing some ham and scrambled eggs green. The green eggs were absolutely horrific tasting, but hopefully I conveyed their joy to a child. We are currently trying to decide what book to do next, but a lot of children’s stories are just too fantastical to film. For my wife’s birthday, I bought her tickets to see John Waters – an idol of hers – at Liverpool Philharmonic Hall. The show was brilliant, he is a true raconteur with a huge repertoire of anecdotes and bits. Jaq even caught his moustache pencil that he threw into the audience. Earlier in the evening, we’d seen April Ashley in the hotel bar we were staying in so had a hunch that John Waters would also be staying there. A hope, at least. In the morning, as we waited for our breakfast to arrive, John Waters appeared with a huge stack of newspapers under his arm. Both of us, shaking slightly, were determined to say hello – even if it would be deeply cringemaking. He was a complete professional, very charming and it made Jaq’s day. Light Show at Hayward Gallery. I didn’t get to see enough Art this year, but Light Show at the Hayward Gallery provided plenty of wonder early in the year. The show featured a variety of different interpretations of ‘light as sculpture’, exploring texture, material, form and perspective, some a bit bobbins but a couple of stunning pieces. 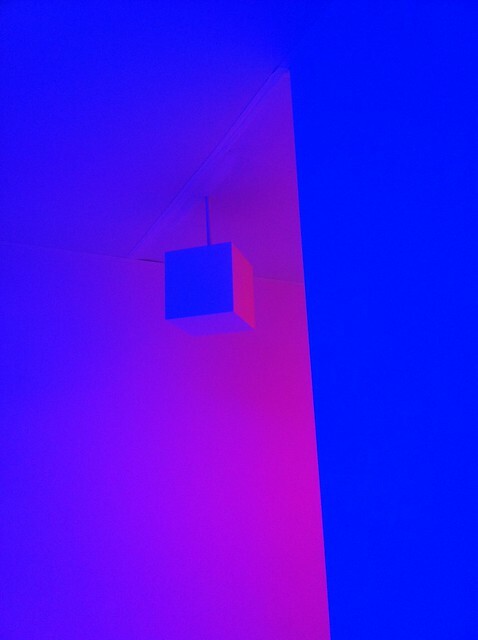 My two favourite pieces were Chromosaturation by Carlos Cruz-Diez (above) and another Olafur Eliasson work, *Model for a Timeless Garden*, that created an infinite number of momentary sculptures using only a strobe and water. Barack Hussein Obama by Steven Weissman. This year has been great for graphic novels/sequential art (apart from the untimely death of Kim Thompson). Any year where there is a new Jason book is a good year, but the most enjoyable graphic novel I read this year was probably Barack Hussein Obama by Steven Weissman. Published by Fantagraphics late last year, BHO collects three years of Weissman’s interpretations of modern US politics. It goes from 4-panel gag pages with BHO doing stand-up and gets increasingly odd, with a murderous Hilary Rodham Clinton, god ripping off Joe Biden’s head and a demonic parakeet. Visually, it’s a stunningly textural book with a perfect hand-crafted feeling to it. Each 4-panel section is drawn with a scratchy pen on a Moleskine page, and Weissman uses old-fashioned Zip-A-Tone to add depth and weight to the pages. It’s beautiful.